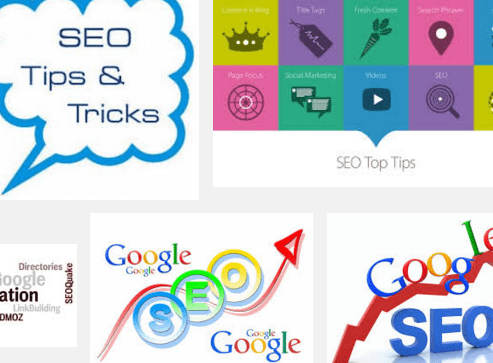 Search engine optimization (SEO) techniques are used to improve the website’s ranking in the search engine result pages (SERP) and thus improving the traffic of the website. Two types of SEO techniques are followed, one is on-page SEO and the other is off-page SEO. On-page SEO mainly focuses on the changes that are required in website for better search engine optimization. It includes changes in website content, navigation, errors checking, website speed and many more. Off-page SEO techniques are used in building quality backlinks for your website. Based on the links that are built for your website the search engine undertakes the kind of quality content is available on the website. In quality SEO services parameter, both On-page and Off-page SEO techniques are important. Together it helps in improving the keywords ranking in SERP which results in increasing the visibility of your website in all popular search engines like Google. Most of the sites that rank on top Google search result have at least 1 external link pointing to the website. Without backlinks it is impossible to rank on the first page of search results. It is the most important factor in off-page SEO. Search engines trust your website more if your site has relevant authority backlinks. When Search engine looks for fresh content your new pages are indexed and made available for search users. One of the main factor is the number of domains linking to your site. The links from the high page rank website are considered more than the links from low page rank pages. You should have more links from individual domains rather than from a single domain. To increase the off-page SEO of your website you should increase your social shares. You should engage more on social media to target your audience. By involving in the discussion on social media you will get to know where your target audience hang out more. You can grow your business through your presence on social media and you can get more backlinks according to SEO services provider. You can use Quora to boost your visibility and it is one of the way to improve the off-page SEO for your website. Quora is the best place to start for marketing campaign, link building or enhancing your brand. You can create your profile on Quora and then find the topics related to your business and start following it. You can write answers or ask question and request the expert to answer it. Though it is good to write answers related to your business. Google displays your answers in search results and it is the best way to reach your target audience. YouTube is the second biggest search engine after Google. The links you get from the YouTube videos are valuable and they can help to improve your off-page SEO. To make a YouTube videos you should know what is popular in your field currently. You can showcase your skills and it should represent your personality. Through your video you can tell the audience how you are different from others. The video should be of good quality to get higher view count. The SEO services providers use this technique to quickly improve the overall off-page SEO. You just have to find and land on weekly roundup posts. You can write blogs and build relationship with other bloggers. This can help you to promote your blogs and get traffic. To do this you can participate in blog link roundups. It is the best way to get the attention of the other bloggers to discover your content. Appealing and unique images can attract quality links from other sites. This helps to improve overall off-page SEO. It is important to write quality content to get recognized by Google SEO. You can easily create infographics to get recognized. Infographics are the most liked and read content. You can make your infographics attractive by using good colour combination, charts, graphs, icons and information. There are tools like Canva which help you to create infographics easily. The tool also measures how well your infographics is performing. The SEO services providers suggest that you should target the right keywords to avoid getting wrong links from other sites. To get the most out of off-page SEO you should target the right keywords.